Glamore, our portmanteau of glamour and amore, is an oil-based love attraction perfume imbued with magick. 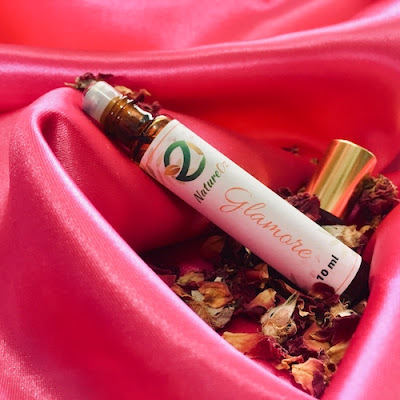 Glamore, our portmanteau of glamour and amore, is an oil-based love attraction perfume imbued with powerful love-drawing essential oils, Dragon’s Blood and magick. If you are single and looking for a partner or already in a relationship and want to promote intimacy, this perfume is the one you are looking for. Dab it on your pulse points so every time your heart beats, your inner desire intensify its power and scent. Ingredients: Pure essential oils (lavender, ylang-ylang, rose) with dragon's blood resin in organic Grapeseed oil which are safe and responsibly sourced. It is alcohol-free so it is much more pleasing to the nose and its scent last longer than perfumes with alcohol. To avoid deterioration and protect its therapeutic and magickal properties, we store them in amber bottles. Highly recommended. This works like a charm. I swear you will be amaze on how this works!